Where to start? Over the last few years, Cathy and I have been feeling the call of the sea, and 2012 was the year we decided to make our dreams reality. So we threw caution to the wind, and bought S/V Pajarito, our 40 foot Cabo Rico cutter rigged sail boat. She's born for the ocean, and we hope to create many new memories in far flung lands as we explore our nautical world. This picture is our very first sail on her. 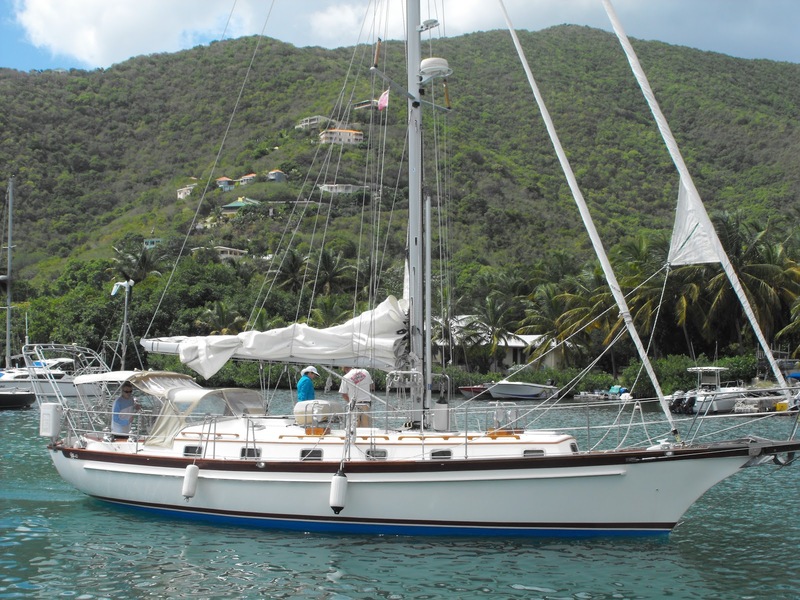 We took delivery of Pajarito in Nanny Cay Marina, British Virgin Islands, and after a whirlwind 10 days setting her up and learning the very complicated systems, we took her for a spin. Conditions were boisterous, with 25 to 30 know winds. The sail was exhilarating, and we quickly fell in love with the Cabo's graceful movement through the waves. She took it in her stride, and we returned to the marina excited by the opportunities that lie ahead. God willing, we move on board on Saturday March 2nd, and start our new adventure! For the next 6 months, hopefully our biggest decision will be just which sunset to chase as we visit new places.